The one and only Joni Mitchell turned 75 today. 50. Finish the lyric: "And you were in the parking lot…"
52. The drumming style in the song "The Jungle Line" is from where? 53. Where did Joni move in the late '60s? 54. "Refuge of the Roads" is a song about whom? 55. Which song is on which album? 57. Joni's longtime sound engineer was? 58. In "Cold Blue Steel and Sweet Fire," where are we going? There's only one Joni. My favorite album this week? It's FOR THE ROSES. Now it changes weekly but this week, my favorite Joni album is FOR THE ROSES. She is a legend and has earned every bit of praise. She's written beautiful songs, she's a one of a kind guitar player and no one's made as many great and classic albums as she has -- not Dylan, no one. Closing with C.I. 's "Iraq snapshot:"
Wednesday, November 7, 2018. The fish issue remains real news but can 'reporters' find it? Wednesdays in Iraq are when the prime minister holds a weekly conference. It's more or less what he said last week. Absent from his coverage of his remarks? The fish issue. FRANCE 24 is covering the issue but what is amazing is how few other news outlets have bothered. The 'big' story that's supposed to knock the fish story out of the loop is the mass graves. The mass graves story, as reported, is the biggest bulls**t reporting in years. The United Nations has discovered mass graves. These people were killed -- some time ago -- by ISIS. The coverage then gives you an estimate, not a concrete number. ISIS is a terrorist organization. That they kill is not surprising. That they kill many is not surprising. If you're going to cover the estimated toll of their dead in mass graves, you might need to note that ISIS didn't just control the region, it was allowed to control them. When you refuse to immediately fight with troops to rescue territory occupied by ISIS, you are abandoning the people who live there. That is the story of these deaths but so-called reporters can't be bothered with that reality. The outrage needs to be (a) these people were killed and (b) areas like Mosul were taken in 2014 and it was 2017 before Iraq has troops trying to retake Mosul. In all there years of foot dragging, of course ISIS was killing people. That's what terrorists do. But a government that is in place is not supposed to allow terrorists to take over areas, let alone say, "Oh, we can't do anything yet, we're still training. Maybe in a year, or two, or three . . ."
The story of the mass graves is the story of a people abandoned by the government that was supposed to protect them. Unless you're telling that truth, you're not saying a damn thing except maybe, "I'm desperate to distract from the fish story because I'm really worried it may have to do with foreign weapons or foreign corporations. I serve the purpose of journalism by looking the other way." The Iraqi government -- under Nouri al-Maliki and then under Hayder al-Abadi -- did nothing for years. That's appalling. If ISIS controls Mosul and you are the prime minister of Iraq, taking months to respond -- let alone years -- is not an acceptable response. Carp, known locally as masgouf, is the country’s national dish and is commonly barbecued outsides across restaurants in Baghdad. The death of the fish is a dramatic reminder of the water crisis that has gripped the country this year. Iraq is suffering from both a lack of water, due to climate change and upstream dams in Syria, Turkey and Iran, as well as poor water quality due to rampant pollution. In Basra, some 300 miles southeast of Baghdad, thousands took to the street this summer after nearly 100,000 people were hospitalised due to dirty water. The problems in the south lie in the Shatt-al-Arab waterway, where the Euphrates and Tigris meet, which is polluted by agricultural runoff, industrial complexes and salt intrusion from the Arabian Gulf. In other scandals . . . It's an interesting allegation. It's a believable one as well. Ned Parker reported on the secret prisons and torture chambers and there was never any reaction from the judiciary, certainly not from the Supreme Court of Iraq. al-Hashemi has been in Turkey where he remains. He was there while a Baghdad court controlled by Nouri pretended to hear charges against him in a faux trial. 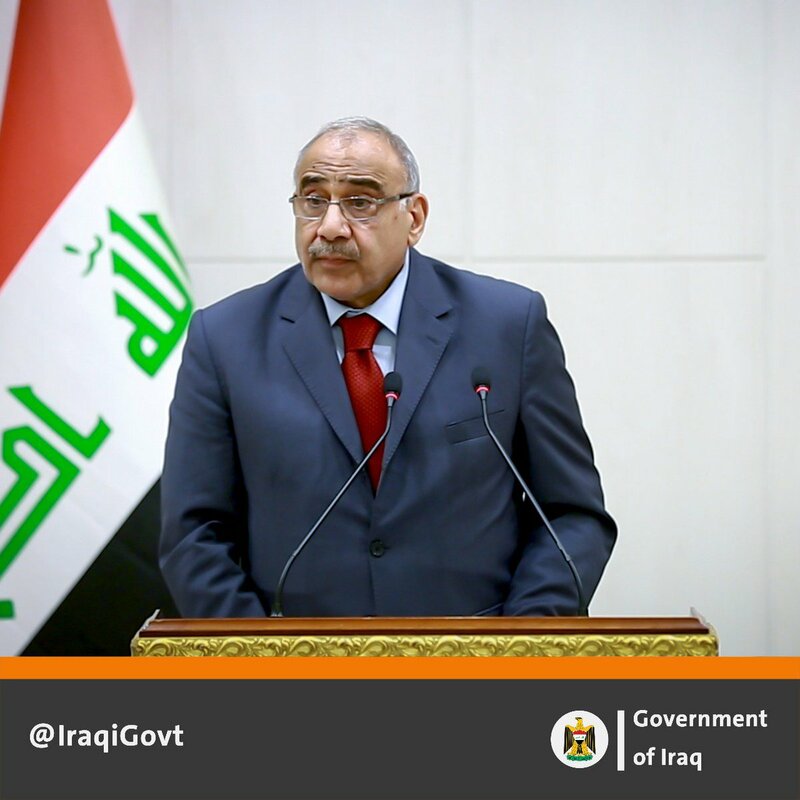 This despite the Baghdad judges declared him guilty in February at their press conference and while one judge was stating that he had been threatened by al-Hashemi, before the trial even started, they declared al-Hashemi guilty. That press conference demonstrated that al-Hashemi was correct, he would not get a fair trial in the Baghdad courts (he had asked that the trial be moved to the KRG or to Kirkuk). In May, the trial began. The judges have also refused to allow Vice President al-Hashemi to call President Jalal Talabani to the stand as a character witness -- in fact, they refused all the requests for character witnesses. Among other problems with the trial? The use of so-called confessions obtained via torture, the refusal to make the proceedings open and transparent (the press was kicked out during some of the trial) and the simple fact that, even after his September 9th 'conviction,' Tareq al-Hashemi remains Vice President of Iraq. He was never removed from his position and while he holds that position -- as he currently does -- the Constitution does not allow for him to stand trial. He can stand trial after he leaves office. He can be removed from office by the Parliament immediately and then legally stand trial. But he was never removed from office and his term has not expired so he can't legally be tried. On the subject of former prime minister and forever thug Nouri al-Maliki, some are confused about the number of ministers in the Cabinet. There is not a fixed number. al-Mahdi has lowered it to 22. In Nouri's first term it was 31. In his second term, Nouri raised it to 42. It is currently 22 with eight post empty. Tuesday, there were hopes for a vote to take place and at least some of those positions to be filled. But that did not happen and there continue to be eight empty spots -- including Minster of Defense and Minister of Interior. Let's wind down by noting this segment from BLACK AGENDA RADIO. In the segment, host Glen Ford discusses the use of solitary confinement as a political tool in prisons with Rutgers University professor Brittany Friedman. Michael Franti & Spearhead Yell Fire!